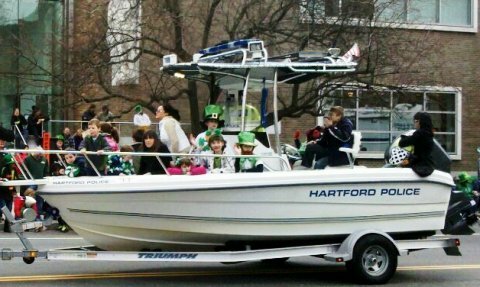 In addition to St. Patrick's Day, the first rounds of March Madness, and the beginning of spring right around the corner, there are at least a dozen boat and sport shows for you to choose from this weekend - across the country and around the world. There is much anticipation in the air across the United States today. For folks of Irish descent (and anyone else who feels like dressing in green), today is cause for one of the biggest celebrations of the year, often involving a corned beef and cabbage dinner and perhaps a Guinness (or two). For basketball fans (and bookies), today is the start of one of the most exciting tournaments of the year in ALL of sports - a day when everyone feels like their team is unbeatable. And for boaters, this weekend marks the start of the Spring Boat Shows. With the weather warming, many of the upcoming boat shows include in-water displays and ready-to-ride boats that you can take out on a test drive (if you can convince the brokers that you are serious about buying.) Often these shows are smaller and lack the distractions of the guys selling beef jerky and home improvement products, not that there's anything wrong with that. 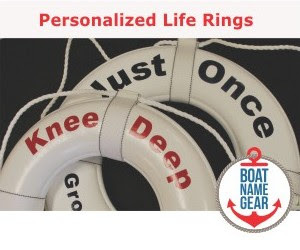 Many of these shows are run by a group of yacht brokers or boat dealers rather than an event company - this keeps the cost down for the boat dealers so they can bring their bigger boats and perhaps even pass the savings on to you. We are also excited to hear that the Mystic Seaport is going to host another boat show this year. SailQuest Mystic is coming to Mystic Seaport - May 13-15, 2011. You will have the opportunity to view and board beautiful new and brokerage yachts (dinghies to 50+ footers) on the Mystic River while enjoying full access to Mystic Seaport’s interactive exhibits. 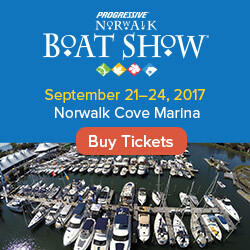 This year, you can get discounted tickets in advance and see twice as many boats as were in the inaugural show last year. For the coupon code and more information about the show, visit the SailQuest page at Windcheck Magazine's site: here. As always, you can find details about these and other events, including links to the official show websites, on our boat show calendar.